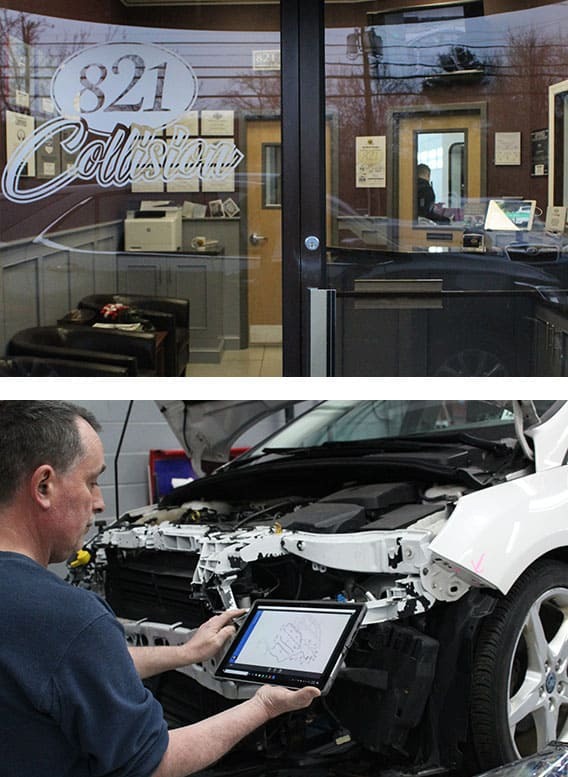 We are proud to offer major collision repair, minor collision repair, structural repair and alignment, auto glass repair, paintless dent repair, car rental services, insurance claims assistance, 24-hour emergency tow assistance, detailing, and paint and finish. We will assist our customers in settling claims with any insurance company. How do I know if my insurance will cover the repairs? All insurance companies’ policies and coverages vary. We will assist you in working with your insurance company, so you can obtain the maximum benefits afforded to you under your policy. Repair times vary but we understand how important your vehicle is to you. Our goal is to return you to a safe, properly repaired vehicle as quickly as possible. Yes. Our expert techs use Axalta’s color net computerized color retrieval system and a highly advanced spectrophotometer to ensure a perfect color match. Can I get other service work done while my car is in the auto body shop? Discuss any additional repairs that you may need with your estimator. What if I need a rental car? We are an elite service provider with Enterprise. Do I have to use the auto body shop my insurance company tells me I have to? No, it is your decision where you want your vehicle repaired. What certifications does your shop have? We are an I-CAR Gold Class facility and we are currently certified by 12 vehicle manufacturer’s. These include: Nissan/Infiniti, Ford/Lincoln, Kia, Hyundai, Fiat, Chrysler, Dodge, Jeep, RAM, and Subaru. Your car will be cleaned when you pick it up. Normal washing is not a problem immediately after repair. Talk to your service representative for specifics about paint care. For a thorough estimate or to contact our shop, please fill out and submit the information below, or you can call 973.949.3733 to speak with a member of our team Mon – Fri 8am-5pm and Sat 9am-1pm.